Arsenal continued to set the pace with a win over Birmingham as Manchester City kept the pressure on with their own win over Liverpool with Chelsea recovering their season away to West Ham. Elsewhere, Reading saw off Bristol City as Yeovil Town finally got their first WSL win, sinking Everton. Given a steely test against the best defence in the league, the strongest attack were left empty-handed at half time for the first time this season. Ann-Katrin Berger and Aoife Mannion giving nothing up over the first 45 minutes, the second half far more profitable for the Gunners. An uncharacteristic error from Mannion opened up the chance for the first, Jordan Nobbs bright to dash in and fire the ball home. Not deterred, the visitors instantly restored parity, a ball sent down the left for Emma Follis enough for the attacker to take advantage of, her low finish buried in the far corner. Having made the mistake for the first, Mannion was left short again as she pulled Lisa Evans down in the box, letting the hosts retake the lead from the spot. With the game still finely poised, Nobbs put it to bed at the death, volleying Evans’ cutback into the bottom left corner. Not on a song but seemingly one of the few teams that could chase Arsenal now and stop the Gunners from picking up their first league title since 2012, City continued to wobble before finding the goals against Liverpool. The match opened up after the break when Anke Preuß was beaten by a deflection, Caroline Weir’s shot taken away from the goalkeeper after Niamh Fahey’s intervention. Nikita Parris’s keen attacking instincts bringing about a second as she raced in behind to slip the ball through the goalkeeper and in. Close from dead-balls in the match, namely through Steph Houghton’s free kicks, the visitors furthered their lead from the spot late in the day. The clinical effort from Parris enough to take her top of the all time goalscorer list in WSL, a clear goal ahead of Eni Aluko. Still not looking like the title winners of last season, Chelsea dug out a win away to a struggling West Ham side. 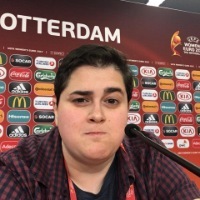 Continuing to be rather blunted in front of goal in the league, the chances came and went for the visitors before Ramona Bachmann found the breakthrough, poor defending gifting the Swiss attacker several bites of the cherry. Fortunate with her first, Bachmann made no mistakes with her second, going alone and picking out the top right corner with a neat curler. 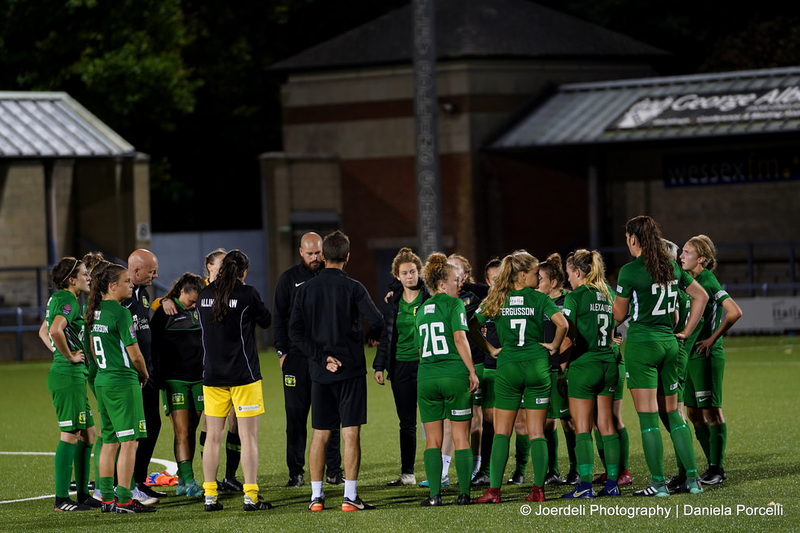 Having raced to the top of WSL 2 in 2016, the Lady Glovers had gone 41 competitive matches without a win, the streak finally breaking at home to Everton on Sunday afternoon. Looking a stronger side under Lee Burch – and importantly a side that can score goals – Yeovil benefited from might be their first slice of luck in two years as Hannah Short’s hopeful effort from range dropped in. With the rain falling and both the ball and pitch slick with rain, it was possibly the conditions that hindered Kirsty Levell as she left the shot slip and bounce off of her fingers, rolling over her head and into the net. Off of the pace this season, Everton continued to test their hand against Megan Walsh but couldn’t find a way back into the match and drop to bottom of the league. With the Bristol bubble having burst, the Vixens could do little to keep the Royals out as the hosts continued to warm into the season. Fara Williams continued to improve her stock with a delightful strike to the top right corner just after the half hour, the England international on hand volley Natasha Harding’s pinpoint cross into the back of the net at the start of the second half. The match continued in the same vein until Reading claimed their third and final goal, Brooke Chaplen benefiting from a Williams pass before turning her marker and slotting the ball home.